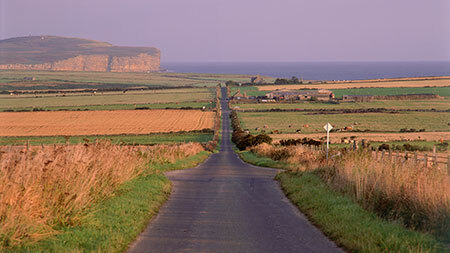 Dunnet Head, at 58 degrees north, geographically is the most northerly point on the UK mainland and is Caithness in miniature. 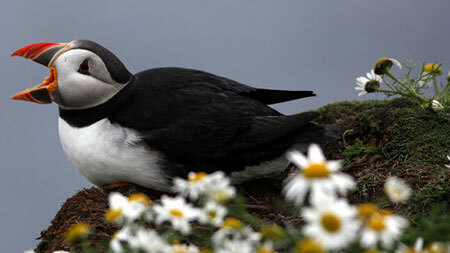 Dunnet Head has stunning sea cliffs and coastal grassland. These are home to puffins, razorbills, guillemots, fulmars, kittiwakes, shags and cormorants, and and we are undertaking annual seabird monitoring work as part of national surveys to contribute to our knowledge of how seabirds are doing. Above the cliffs are some very diverse coastal heathland and grassland habitats with special plants such as spring squill, thrift and roseroot. Historically it is very important as the very pinnacle of Dunnet Head, Easter Head, was a WWII radar station and nearby Burifa Hill was a Gee station. The remains of the two stations can be seen in prevalent positions on the Head.